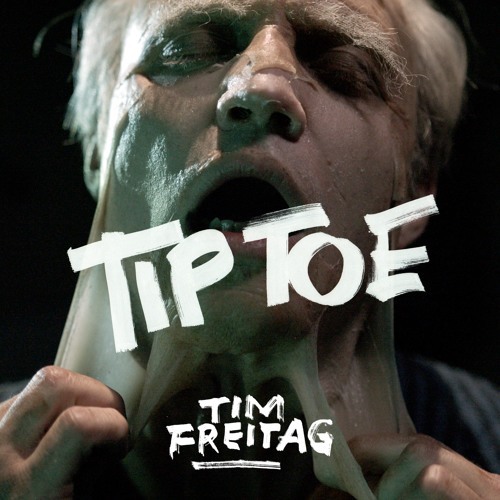 Swiss alt-rock 5-piece band Tim Freitag are back with a killer new single titled Tip Toe. I am loving this beautiful piece of alternative rock music that is packed with infectious hooks that got me addicted to it after the very first listen. Janick Pfenninger's distinctive vocals sound incredible here and I am loving those high notes which soar over groovy guitar riffs and steady percussion. There's something hypnotic about Tip Toe that took me in an awesome, yet dizzying, ride and I can't stop playing this gem and sing along to it! Tip Toe's hypnotic atmosphere is enhanced by its accompanying psychedelic, old-school style music video. Directed by Achille Lietha we see an aged and wrinkly old Janick Pfenninger up until an exhilarating Vespa ride breaks his heart and the mask is torn away, to shreds… Watch the captivating visuals for this beautiful song below!